Front Door Title is experienced in handling the unique foreclosure settlement process. The process involves transferring ownership of a foreclosure property and the seller is a bank or one of the government sponsored enterprises like FNMA, FHLMC, GNMA, and the VA or HUD. 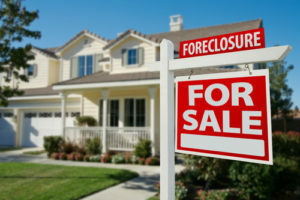 Our foreclosure settlement experts work with clients who are purchasing in any county in Maryland. We offer expert foreclosure title services and solutions for our clients. The staff at Front Door Title has the experience you need to help guide you through the foreclosure settlement process. In a foreclosure, the previous owner has lost ownership interest in the property, and either the bank or one of the government sponsored entities like the Federal National Mortgage Association (FNMA), The Federal Home Loan Mortgage Corporation (FHLMC), Government National Mortgage Association (GNMA) or the U.S. Department of Housing and Urban Development (HUD) is now the owner of the property. This creates another layer of approvals required to transfer ownership. Often, these organizations will sell their properties at a below market price, which makes this transaction favorable for the purchaser. The abstract and examination of title history for a property that has been through a foreclosure is more extensive than with a conventional resale. It is important for the purchaser of one of these properties to work with a title company that is working for them. So whether you’re buying a foreclosure as an investment or to live in, you can trust Front Door Title to assist you through the process.